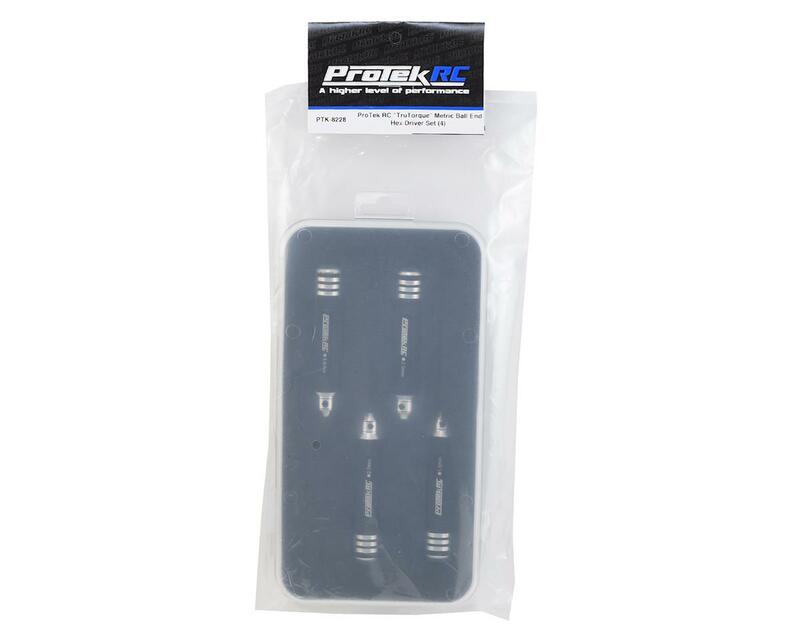 This is the ProTek R/C "TruTorque" Metric Ball End Hex Driver Set. No one wants to spend money on low quality tools. Tools are an investment that should not be taken lightly and are one of the few items that should outlast the life of the model you are working on...and remain with you for years after. With so many choices available, the decision can be overwhelming. So ProTek R/C has stepped up again, expanding its product line with a complete range of affordable, high quality tools that help to make the decision a little easier. I bought this as it was cheaper than other ball hex driver sets available. Well they say you get what you pay for as my 2.0mm ball hex driver snapped off the shaft while loosening a screw from my touring car. 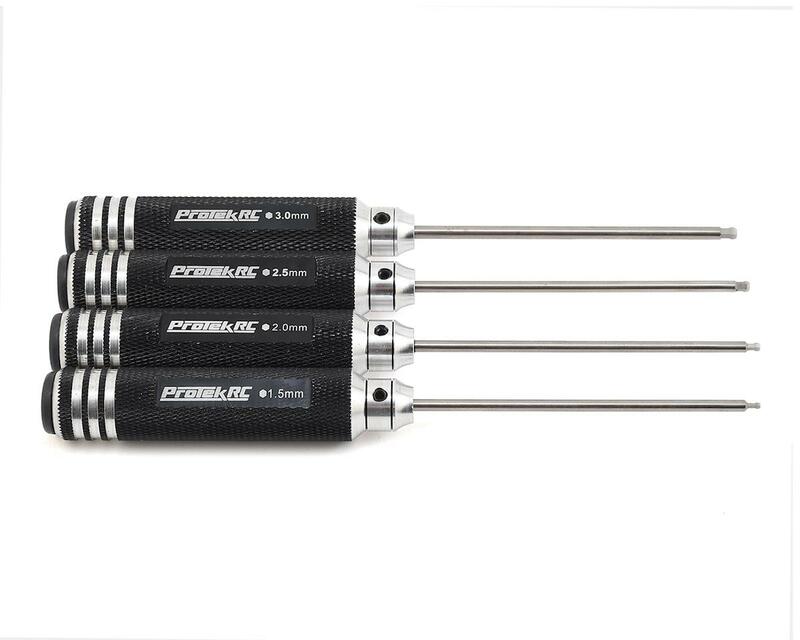 I recommend to anyone thinking of buying this set of ball hex drivers to stay away from this junk and spend the extra bit of money on some higher quality hex drivers. Update: I contacted Amain about the issue I had with the broken hex on my first use and even though it was past the warranty period they still sent me a new replacement! Since then I have been using this set of ball hex drivers with no issues at all. Overall I'm very happy with this set of hex drivers and the customer service I received from Amain. they broke in the first use. This is extreamly expensive for what you get. Garbage. Junk! Tips are very weak!! All of mine have broken and I tried to talk to amain and all I got was we will help you out and got nothing after that! this set was a decent price, broken one and another rounded off the hex shape. like they say pay for what you get.